Organizations which offer employees a customizable “shaping” capability attain greater success than those that do not. A broad base of research shows that spaces and furnishings that let people “shape” their workspace, and work experience, offer health and productivity benefits to workers. “Shaping” occurs when organizations, groups, or individuals manipulate elements of their physical environment, or choose their work location or type of space. 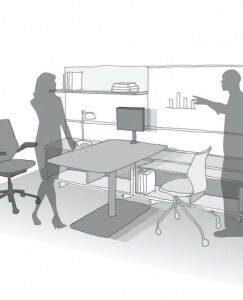 This paper offers an overview of the “shaping” concept, and planning and furnishing guidelines to implement this capability in office spaces.